can be graded.. calm to extreme..
to our vibratory connecting internet..
and our enclosure in our Sun's emanations..
where vibration threatens pain and destruction..
as we are.. not as it is..
Seismologists fear a 'megaquake' could be coming have been raised following a series of more than 35 temblors recorded by the Southern California Seismic Network that struck a rural area of Southern California near the U.S.-Mexico border. 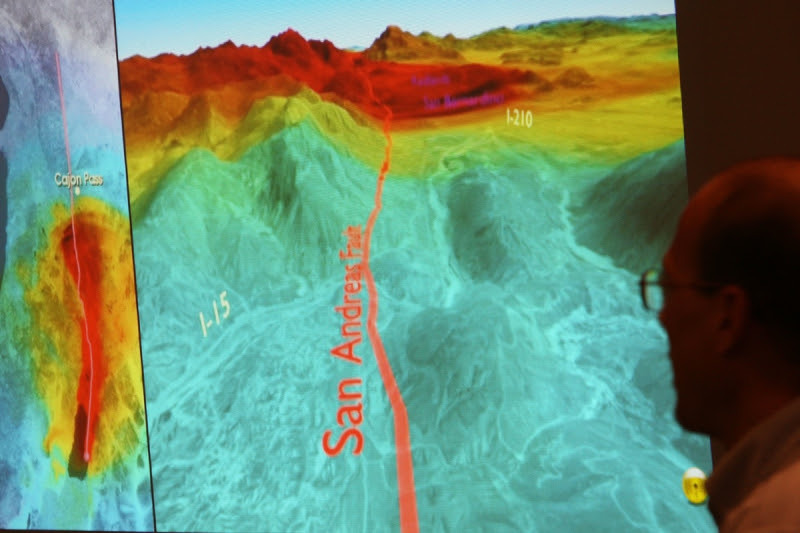 For seven-days following Tuesday, the chances of a magnitude-7 or greater earthquake being triggered on the southern San Andreas fault are as high as 1 in 100 and as low as 1 in 3,000. 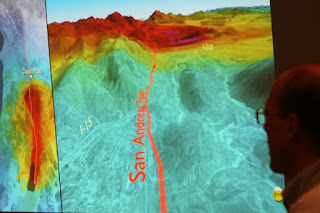 It marked only the third time since earthquake sensors were installed there in 1932 that the area had seen such a swarm, and this one had more earthquakes than the events of 2001 and 2009.